The true story of “Valentine’s Day” may tell us more about anger, irritability and violence than about candy, hearts, and flowers. Back in the day, 269 AD, a good priest named Valentine ran afoul of the Roman Emperor Claudius II. Valentine was sentenced to a three part execution of a beating, stoning, and finally decapitation. Talk about extreme irritable male syndrome. Getting irritable occasionally is part of being human, but getting locked into a pattern of negativity can cause problems for men and the families that love them. Turned inward, we often suffer from depression. Turned outward we suffer from IMS. What Is Irritable Male Syndrome (IMS)? Dr. Lincoln had no evidence that it occurred in human male mammals, but he suspected it did. I had been doing research on men going through Andropause or male menopause and found that they became irritable and angry. I visited Dr. Lincoln in Edinburgh, Scotland and shared my research with him. He agreed that it would be valuable to have a book written on the subject, which I began writing when I returned to the U.S. The book, Irritable Male Syndrome: Understanding and Managing the 4 Key Causes of Depression and Aggression describes the following four causes. Hormonal changes – Men, like women, have hormonal changes that occur throughout our lives. Although I first studied hormonal changes in mid-life men, I learned that hormones like testosterone can fluctuate every hour, every day, with the seasons, and as we age. Changes in brain chemistry — What we eat and drink has a lot to do with how we feel. Holiday drinking and eating lots of sweet, fat, and salty foods can throw off the way our brain functions and can contribute to everything from arthritis to chronic pain. Increased stress — This may be the season to give thanks and the season to be jolly, but it is also a time of increasing stress. Role changes — We may be adults, but when we spend time with families we revert to being children. We re-experience a lot of our unresolved childhood issues and these can make anyone irritable and angry. John Gottman, Ph.D. is one of the world’s leading experts in helping people deal effectively with their anger and to keep their relationships alive and well. In his book, What Makes Love Last? How to Built Trust and Avoid Betrayal, he uses the word “Attune” to remind us of six skills that we can all use to keep irritability and anger in check. ”I” statements reflect only the speaker’s feelings and experience and avoids criticizing the other person. “You” statements always come across as accusatory and judgmental. We all fall into the trap of believing we are right and the other person is wrong. But life is rarely about absolutes of right and wrong. 2 plus 2 = 4. They are most often about 2 people plus 2 points of view = 400 ways we can misperceive each other’s motives. Remember that the other person’s point of view is just as valid as your own. Tolerance and respect will go a long way to alleviating angry confrontations. Of course if someone is really out of it, they may not respond to your request in a positive way. You may have to call a cab and get home on your own. But you’ll save yourself and others a lot of pain by not getting into an argument. Most of us just want to be heard and supported, but often we get in the habit of trying to reassure or problem solve. Recently our son, Evan, flew to the Philippines. It turned out he was arriving just as a huge storm hit the islands. We hadn’t hear from him in a few days and my wife, Carlin, was worried and upset. I thought I was being helpful when I said, “I know he’s going to be OK. I think the airport is south of where all the damage occurred.” I proceeded to tell her I would go on line and see what I could find out. After we found out he was OK, she told me that trying to reassure her and get the facts, made her feel that I just wanted her fear and worry to go away. She said she felt I was implying that her feelings weren’t important. At first I got defensive trying to explain that I was just trying to help, but I tried to listen for her feelings and concern. Too many of us try to problem solve rather than empathizing and understanding. It’s so important to me that my family and friends be OK, if they are angry or unhappy, I immediately feel responsible. As a result I get defensive rather than just listening for their feelings. This sounds like it should be easy. “Just listen with an open heart,” but when someone is upset, we often feel like we’re being attacked or judged. When we feel that way, we automatically become defensive. We want to explain, justify, and tell our side of the story. I often have to work hard to stay calm, breathe deeply, and sometimes take a break so I can listen without becoming defensive. In the original Star Trek TV series, Mr. Spock used telepathy to do a Vulcan mind meld with others so he could share their experiences. To succeed, he had to shut off his own consciousness for a while. In order to really be empathic with others, we have to tune down our own feelings and needs and tune into the other person. This isn’t easy. Most of us tend to be self-centered, particularly when we are under stress. It can also be painful to tune in to the feelings of another when they are in pain. When Carlin was worried about our son, tuning in to her feelings of fear meant I also had to tune into my own. Empathy isn’t easy, but it’s the core of what makes us human. I encourage you to use this opportunity to speak with compassion and listen with an open heart this year. You’ll be happier and so will those around you. 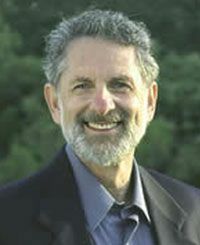 Jed Diamond, Ph.D. has been a marriage and family counselor for almost 50 years. He is the author of 10 books, including Looking for Love in All the Wrong Places, Male Menopause, The Irritable Male Syndrome, and MenAlive: Stop Killer Stress With Simple Energy Healing Tools. He offers counseling to men, women, and couples in his office in California or by phone with people throughout the U.S. and around the world. To receive a free subscription to Jed’s e-newsletter go to www.MenAlive.com. If you are looking for an expert counselor to help with relationship issues, write Jed@MenAlive.com.